Some people prune up a young stand to increase its fire resistance by getting flammable branches up off the ground. This may be a particularly strong motivation if their property borders a public road, in which case it might make sense to also pull back the pruning slash a few rows in to help keep the ground bare. There are also some people who are inspired by the thought of their trees producing clear, knot-free wood in the years to come. That objective requires a series of lifts to a short log length (20ft) on selected trees, but deserves a separate article. Cutting flush leaves a large wound, damaged collar and bole. If pruning into the live crown, you should get it done from the late fall to late winter, rather than summer, as I cautioned last summer. The bark is now tight and insect pests such as the sequoia pitch moth are less likely to be attracted to wounds made in the winter. Pruning dead branches is ok any time. 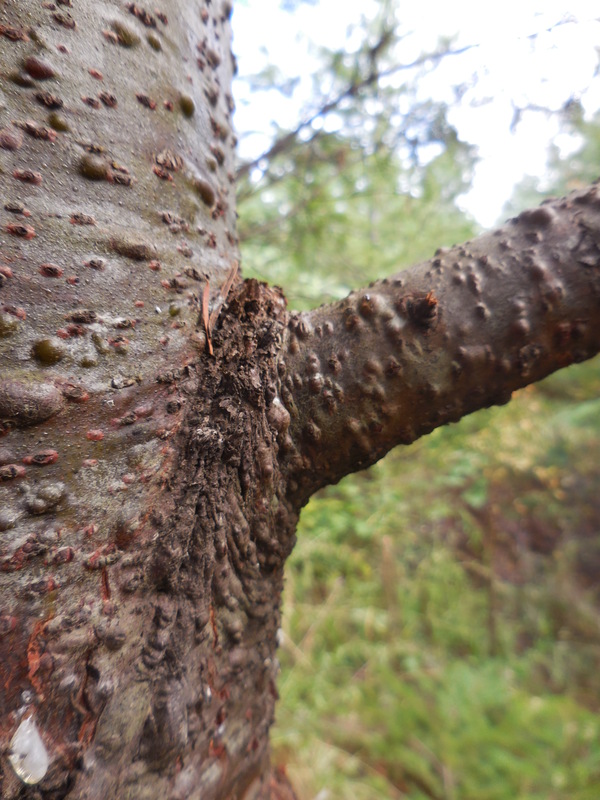 Prune close, but not flush with the trunk. [See photos below]. 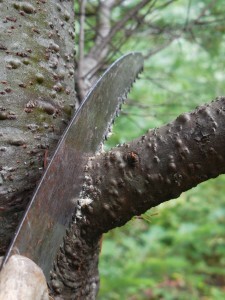 This prevents injury to both the bole of the tree and the branch collar. 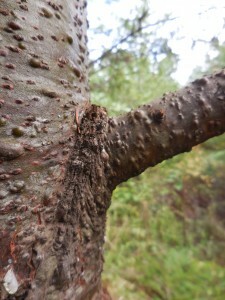 The collar is the raised area at the base of the branch. 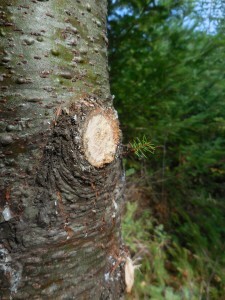 Leaving the collar allows the tree to heal over the pruning wound more quickly. It is better to leave a stub than cause injury to collar or bole. Something to keep inmind if using power tools. 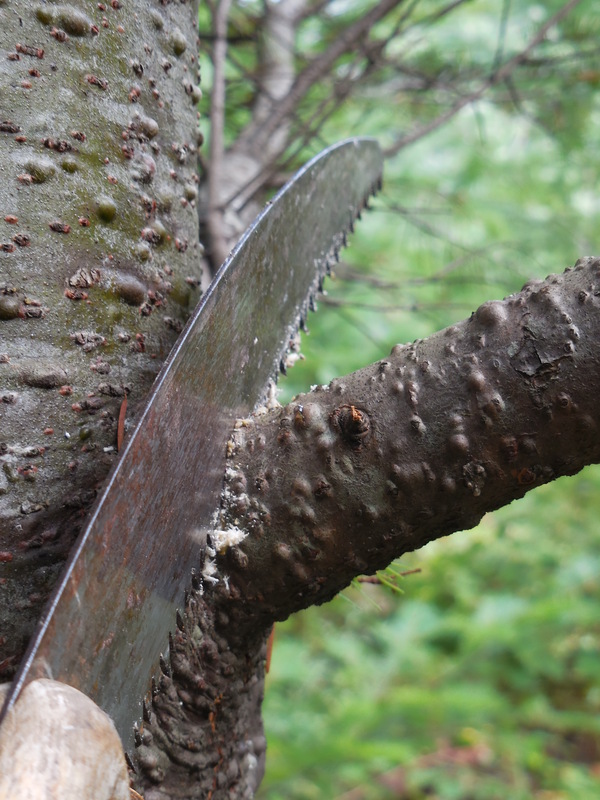 When pruning young trees, be careful not to be too enthusiastic. 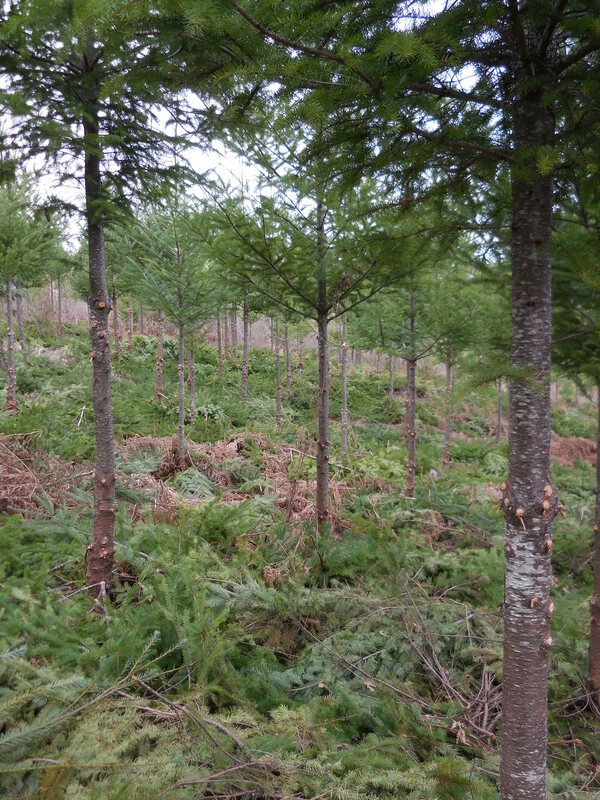 The rule of thumb is to leave at least half the tree’s total height in live crown. Be mindful of potential sun scald. Factors increasing damage risk include: edge trees with SW exposure, drought conditions, pruning in late summer before the rains, leaving the minimum live crown ratio. So you pruning enthusiasts, get out there and get some exercise while feeling good about the gym membership fee you are not paying. 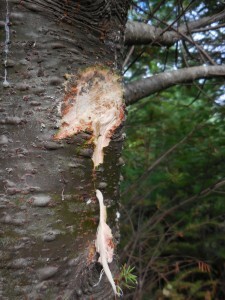 .. leaving a minimal wound and undamaged collar tissue to rapidly close the wound.